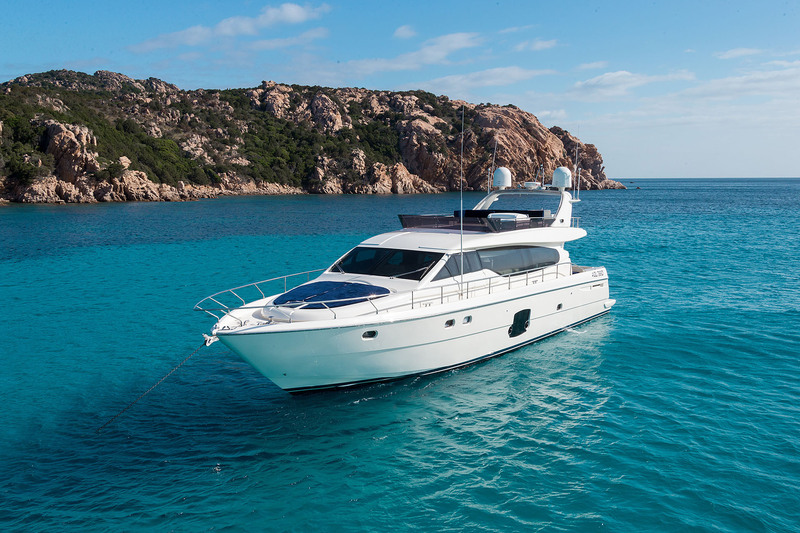 Motor yacht D’Artagnan is a 20,04m (65,9ft) Ferretti design that was launched in 2008 and refitted in 2016. 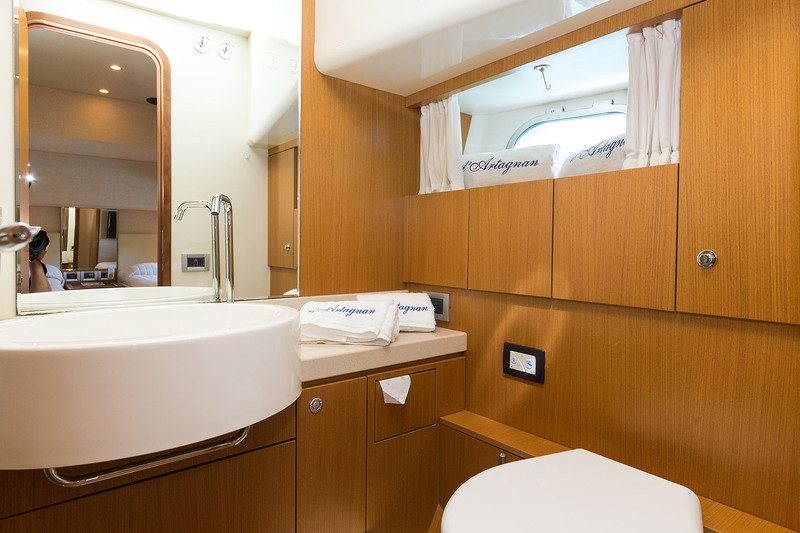 She offers accommodation in 3 cabins for up to 6 charter guests. 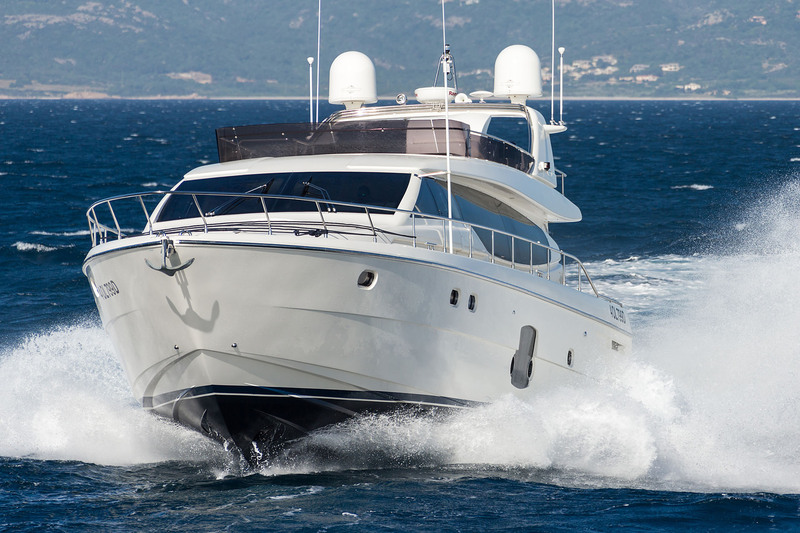 The yacht can cater to a total of 12 guests for event charters. 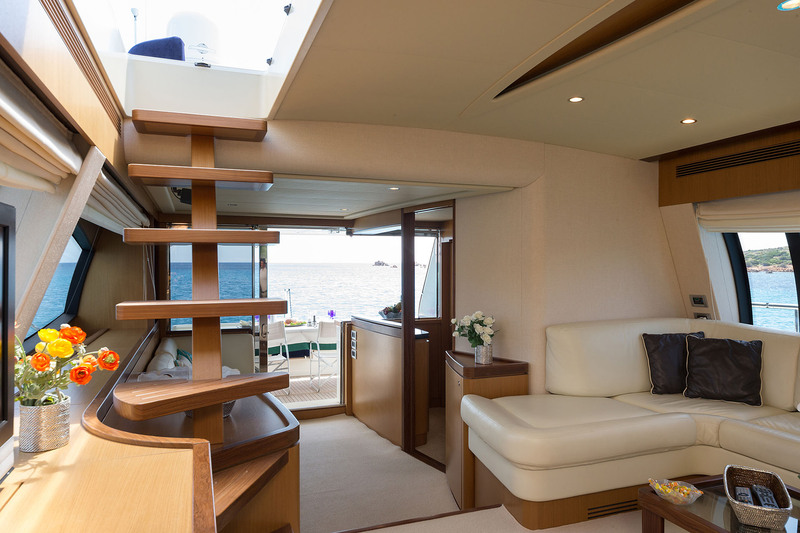 Her interiors are light and airy thanks to well-appointed windows and ports. The contemporary salon and dining space feature supple leather sofas, coffee table and entertainment. 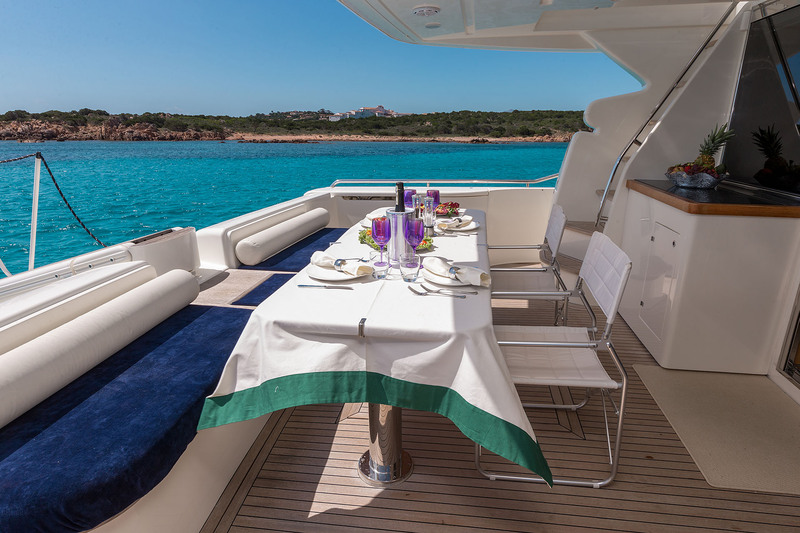 Set in an open plan, the formal dining table sits to starboard and forward of the salon, boasting fabulous views. 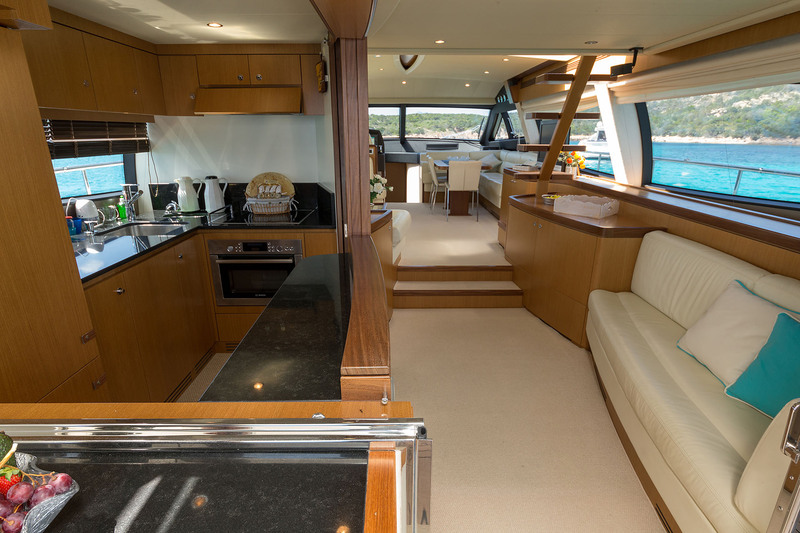 Aft of the salon is a seating area to starboard, with the professional galley to port. 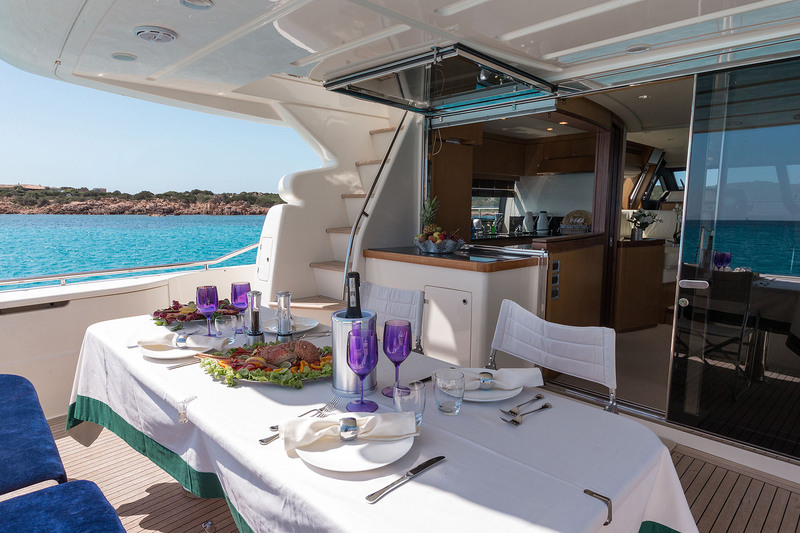 The galley is easily enclosed to ensure guests privacy. 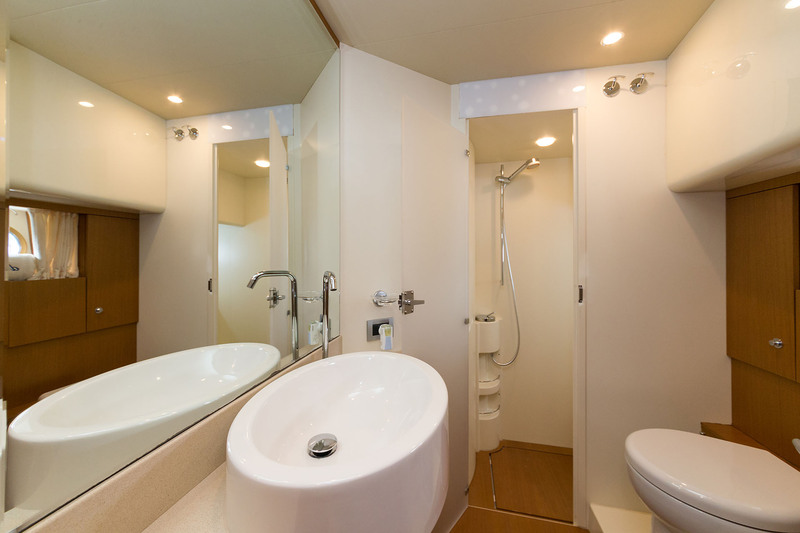 On the lower deck are 3 cabins, all offering en-suite facilities. 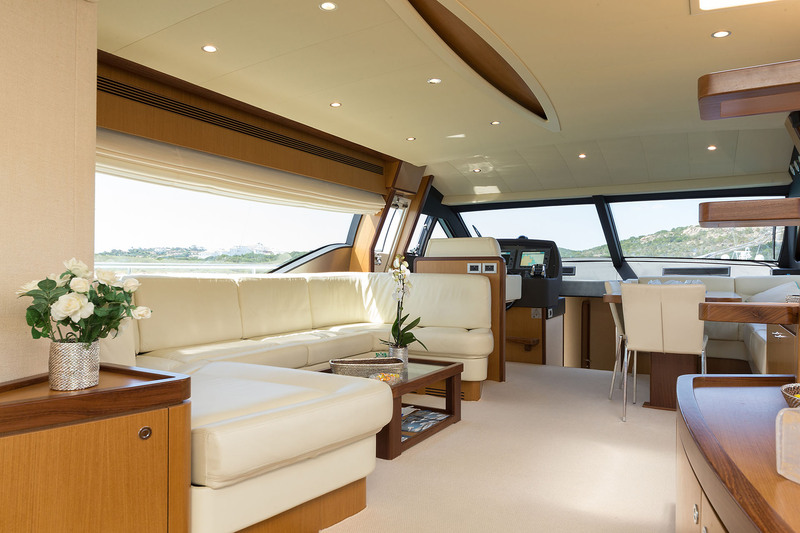 On deck the yacht has ample areas to relax and entertain. 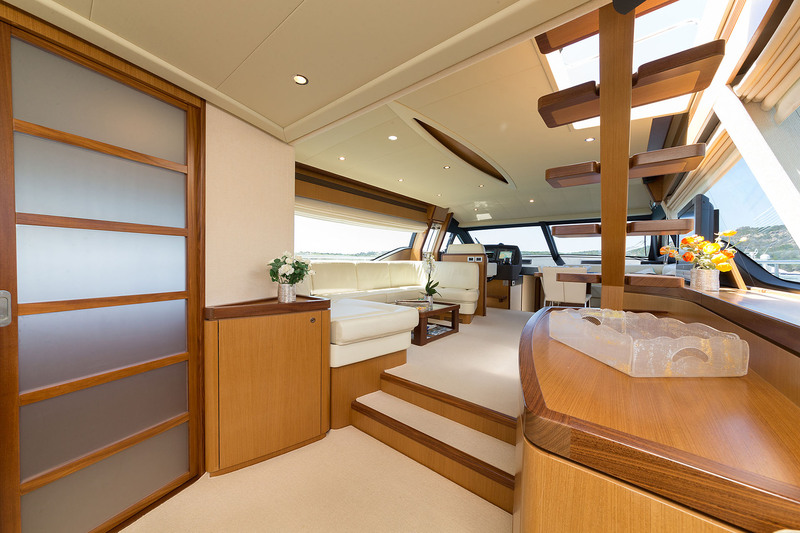 The aft deck is directly accessed from the salon through sliding glass doors. 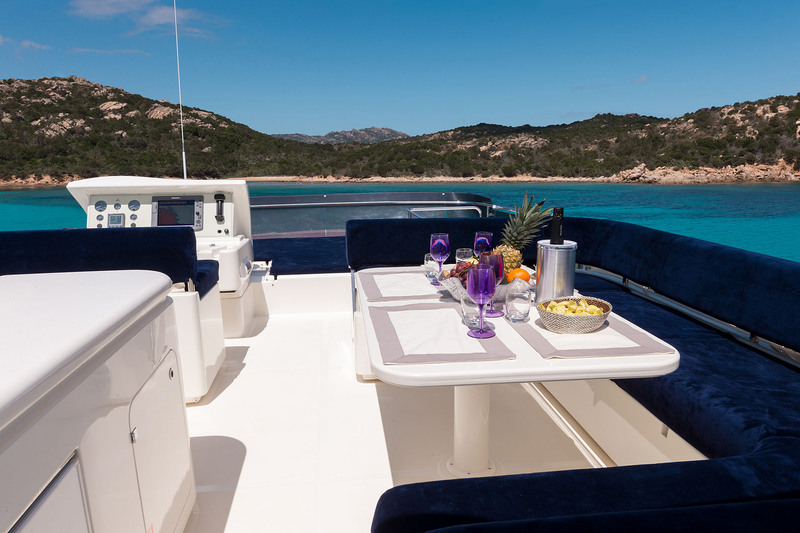 An alfresco dining table, seating and shade make the aft deck perfect for any occasion. 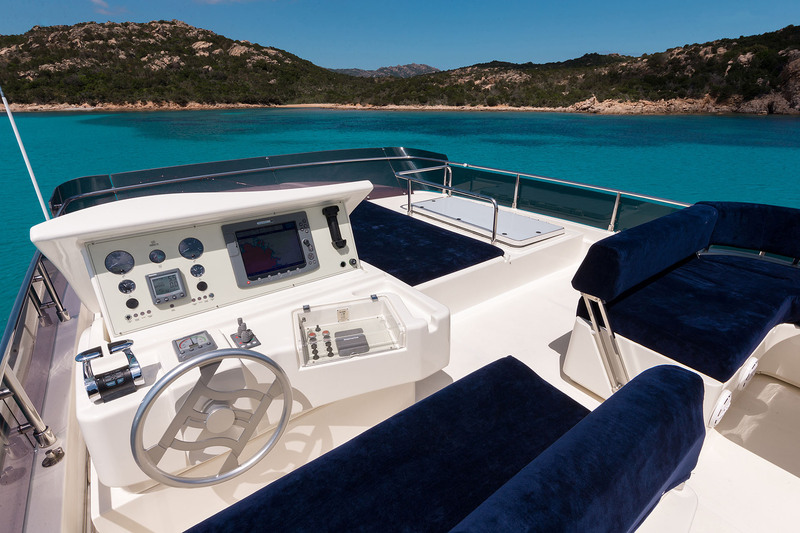 The main deck wraps around the yacht and leads to a generous foredeck with large comfortable sunpads. 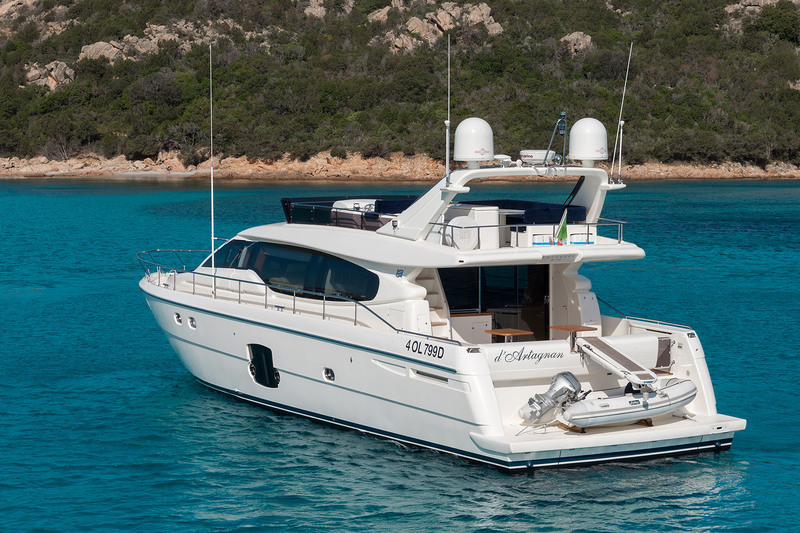 Her upper sundeck is capacious with a further alfresco dining table and plenty of seating. 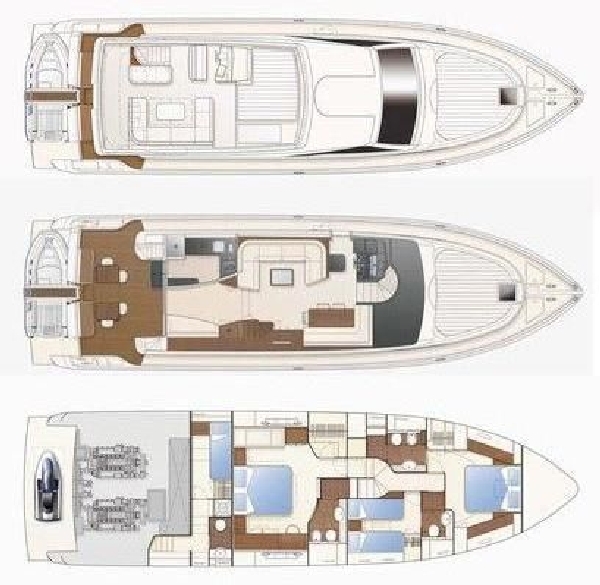 Access to the upper deck is either from the salon or the aft deck. 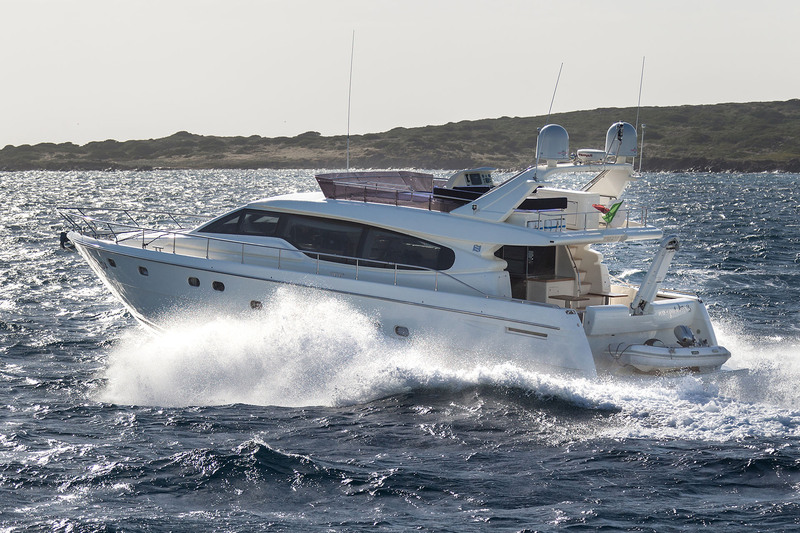 An extended swim platform makes enjoying the good selection of water toys on offer effortless. M/Y D’Artagnan’s naval architecture is by Zuccon International Project Studio. 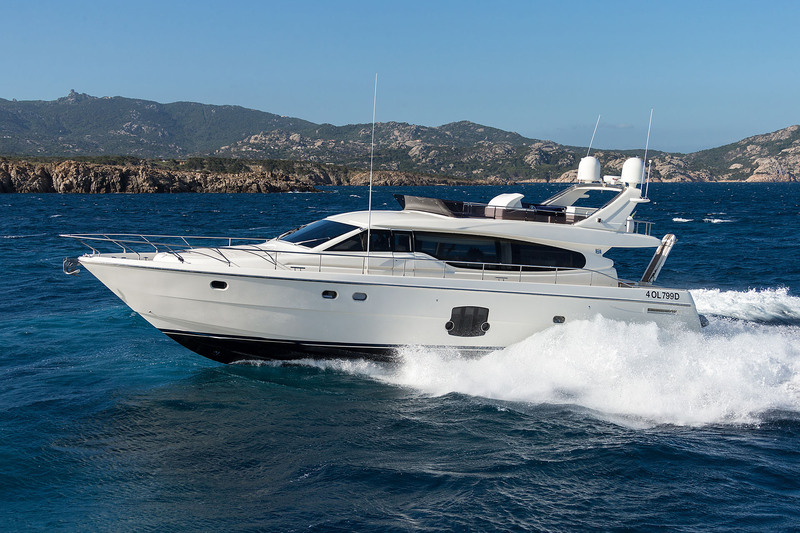 She has 2 x 24hp MAN engines providing cruising speeds of 25 knots and top speeds of 33 knots, on her sleek planing hull design. Accommodation is in 3 cabins for up to 6 charter guests. 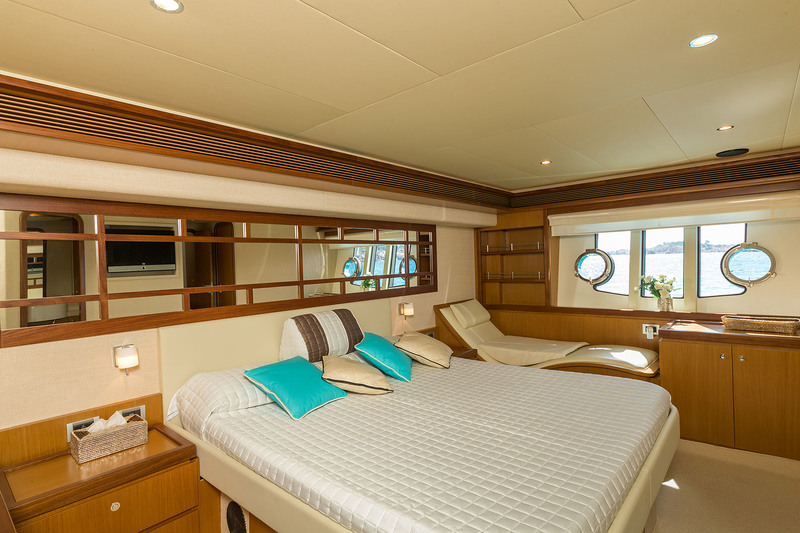 The master stateroom is full beam of the yacht amidships with a king size bed, reclined lounge seat, vanity and large feature windows, perfectly framing the views. 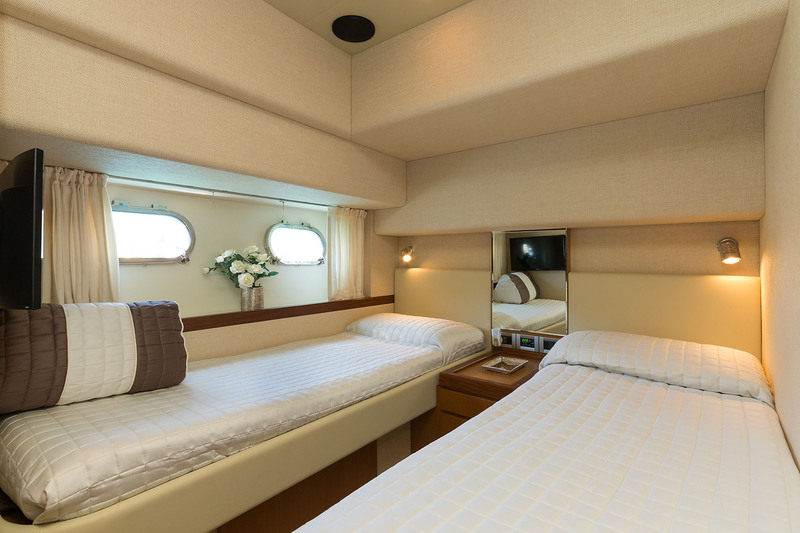 The VIP cabin is forward with a full beam layout and queen size bed. 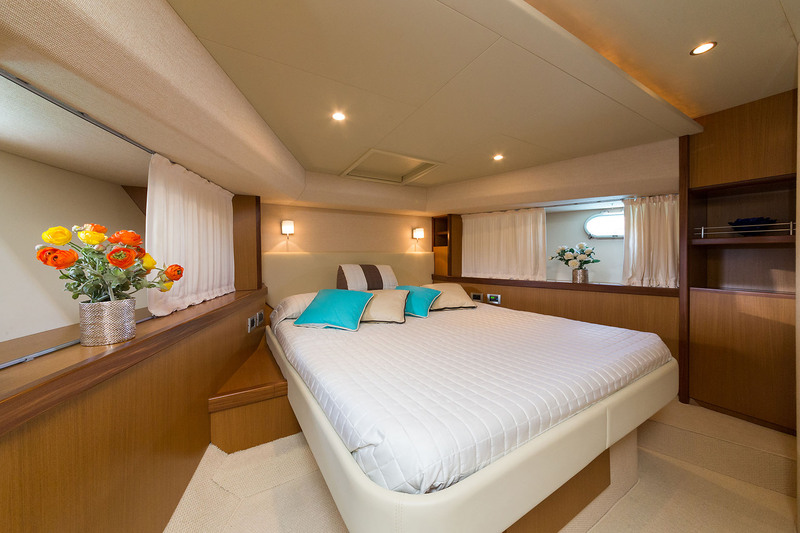 Her twin cabin is on the starboard side, with 2 side by side beds. All 3 cabins offer TV entertainment, IPod connections and Wi-Fi. 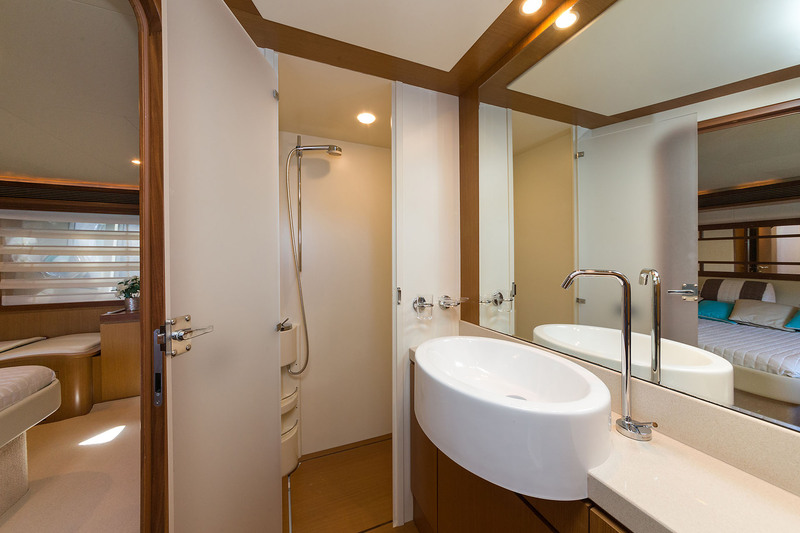 Each cabin has their own private en-suite facilities.